Veeam® Software, innovative provider of backup, replication and virtualization management solutions for VMware vSphere® and Microsoft® Windows Server® Hyper-V®, today announced that it is extending its support for VMware vCloud Director®. An Elite VMware Technology Alliance Partner, Veeam has always been on the leading edge of advancements in vSphere technology. 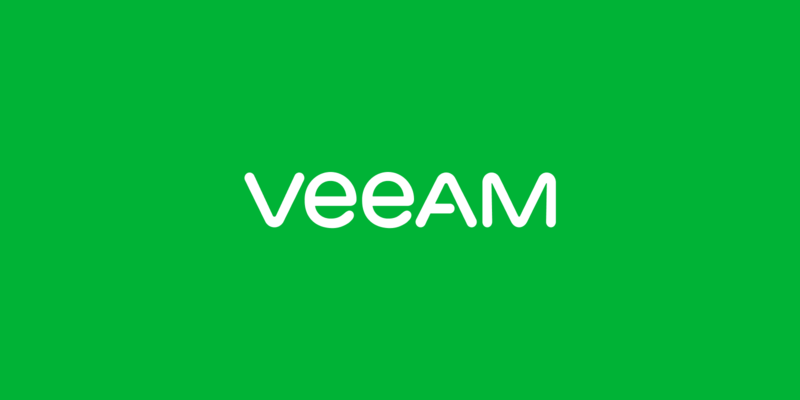 Veeam’s enhanced support for vCloud Director is another example of Veeam’s alignment with VMware technologies and illustrates the value of using data protection Built for Virtualization™. New integration will extend Veeam support for vCloud Director, which currently includes the ability to backup and restore virtual machines (VMs) managed by vCloud Director. Using the vCloud Director API, Veeam will display the vCloud Director infrastructure directly in Veeam Backup & Replication™, backup all vApp metadata and attributes, restore vApps and VMs directly to vCloud Director, and support restore of fast-provisioned VMs. The new functionality leverages Veeam’s existing backup infrastructure and is integrated directly into the existing Veeam backup console. It is a complete out-of-the-box solution that is fully supported by Veeam and extensible by customers and partners. Veeam’s powerful, easy-to-use and affordable backup and recovery solution has for years enabled organizations to achieve greater levels of virtualization by providing reliable VM backup and fast VM recovery. In 2010, Veeam’s introduction of vPower® helped drive virtualization of mission-critical applications, by offering capabilities such as Instant VM Recovery, SureBackup® and Universal Application-Item Recovery® (U-AIR) that were too cumbersome or simply impossible to accomplish in a physical environment. With enhanced backup and recovery for vCloud Director, Veeam will enable the next phase of virtualization as organizations, particularly mid-size and large enterprises, move toward a cloud computing model. Enhanced vCloud Director support will also streamline backup and recovery for cloud providers and managed service providers (MSPs) that are using vCloud Director to provision and manage cloud environments for their customers. For more information on Veeam backup and recovery for vCloud Director, go to http://go.veeam.com/v7, or visit the Veeam booth (#201) at VMware Partner Exchange 2013 in Las Vegas, NV from February 25–27. Veeam will also co-present with VMware at Partner Exchange. The joint session, SPO2006, will take place from 12:30–1:30 p.m. on Wednesday, February 27. Availability: Enhanced backup and recovery for vCloud Director will be available in Veeam Backup & Replication v7, which is expected to be generally available (GA) in the third quarter of 2013. To sign up for v7 updates, go to http://go.veeam.com/v7. About Veeam Software Veeam Software develops innovative solutions for VMware backup, Hyper-V backup and virtualization management. Veeam Backup & Replication is the #1 VM Backup solution. Veeam ONE™ is a single solution for real-time monitoring, resource optimization and management reporting for VMware and Hyper-V. The Veeam Management Pack™ (MP) and Smart Plug-in™ (SPI) extend enterprise monitoring to VMware through Microsoft System Center and HP Operations Manager. Veeam also provides free virtualization tools. Learn more by visiting http://www.veeam.com/.